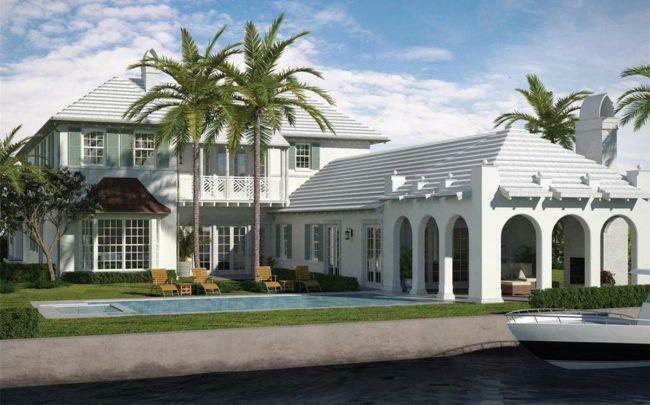 Malasky Homes sold a recently completed waterfront spec home in Palm Beach for $15.5 million. The developer sold the 5,769-square-foot home at 608 Island Drive for about $2,695 per square foot. A trust controlled by the Koeppel Law Group of West Palm Beach bought the home. The true buyer is unknown. The waterfront property has five bedrooms, six-and-a-half bathrooms and sits right on the Intracoastal Waterway on Everglades Island. It was completed this year. Malasky bought the site from former Bear Stearns executive Denis P. Coleman and his wife Annabelle G. Coleman in 2016 for $6.49 million, records show. Before the new spec home was built, the lot housed a 4,449-square-foot home built in 1962. West Palm Beach-based Malasky Homes is a full-service home building company owned and operated by the Malasky family. The company recently sold a spec home in Palm Beach to the founders of BuyBuy Baby Richard Feinstein and Jeffrey Feinstein for $21 million.